I think he should be called Brate “The Great” because he is a great blocker, an explosive threat, and has great hands. Brate beat out ASJ, who was supposed to be the second coming of Tony Gonzalez, with ease. The young Harvard graduate wasn’t considered to be a great player heading into the NFL, as a matter of fact, he wasn’t even considered by many, at all. However, he has quickly made a name for himself. Health has never been an issue for Brate, although he has missed a game here and there, his health has never been a major concern. Brate seems to find himself in a position, most times, to make the big play when it is most needed. And last year, for a time, he was Jameis Winston’s most reliable target. When we needed a first down or a quick TD, Brate was the man to look for. Heading into the bye week, Cameron Brate has 197 yards and 2 touchdowns on 17 receptions and coming out of the bye week, it should not be difficult to see Brate used more in the red zone where he can prove to be most reliable. Brate the Great? Could he be the franchise TE? Cameron Brate or O.J. Howard? Cameron Brate is done for the season. 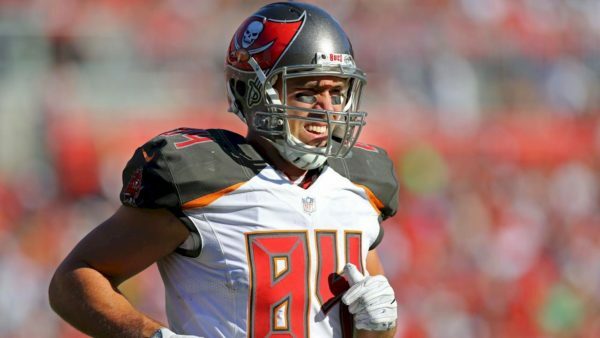 Cameron Brate > Austin Seferian-Jenkins? Previous articleDennis Byrd: Gone but never forgotten. Next articleYou can’t catch Mike!